What text do you want on the front left? How would you like to embellish the front? What text do you want on the front right? Do you want artwork on the front? Choose from our Design Library. Which side do you want artwork? Additional setup fee may apply. What monograms do you want? What do you want the back to say? How would you like to embellish the back? Do you want artwork on the back? 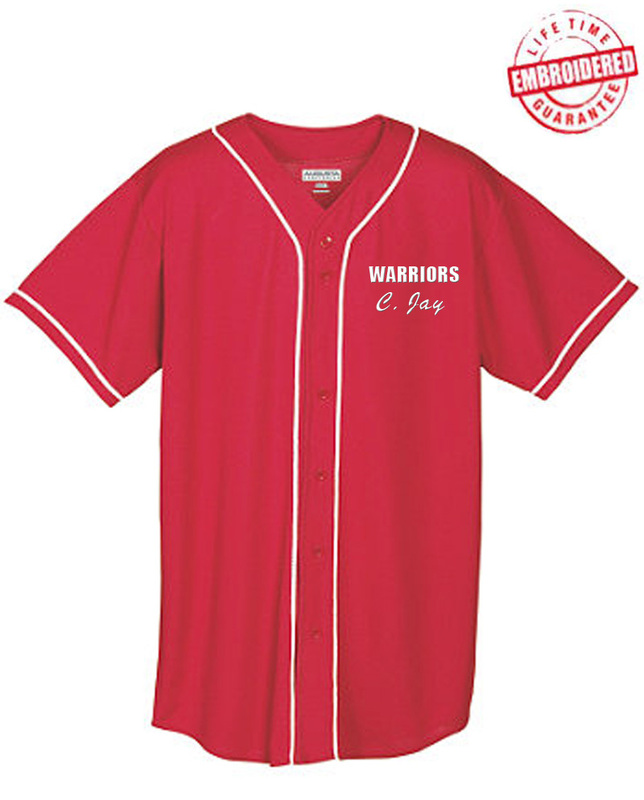 This cloth button front baseball jersey is fully customizable. You can add icons to the front, the sleeves, and the back. Choose artwork from our Design Library or upload your own. Use the form to personalize this garment with your own messages, designs, etc. Just skip over any sections that you don't want to customize. If you aren't sure about something, just click the help (?) icons along the way. 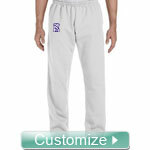 The end result will be a high-quality embroidered (sewn-on) design. Embroidery is much better quality than screen printing, so your letters will never crack, fade, or peel. Our embroidery is guaranteed for life. We will email you a proof after you complete your order. * Double-needle hemmed sleeves and fishtail bottom. You will earn at least 51 rewards points for this purchase. Your total rewards points will be higher based on the options and quantities that you choose. Your merchandise total at checkout is your true rewards value.